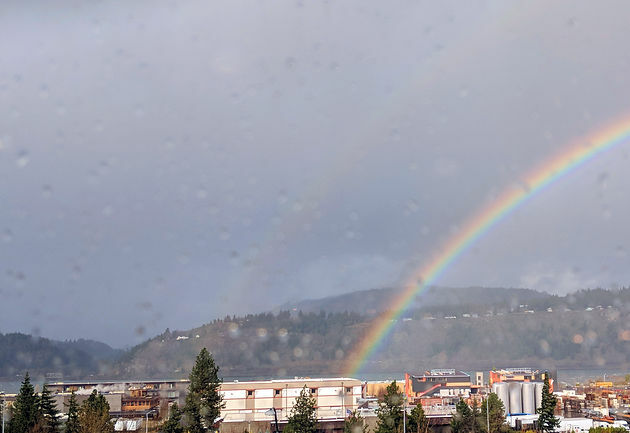 If you've been following along, you'll know that Navona just returned home from their vacation in Portland! It was an exhausting and quick trip, but well worth it! We crammed as many restaurants and as much sightseeing into a 3-day weekend as possible. 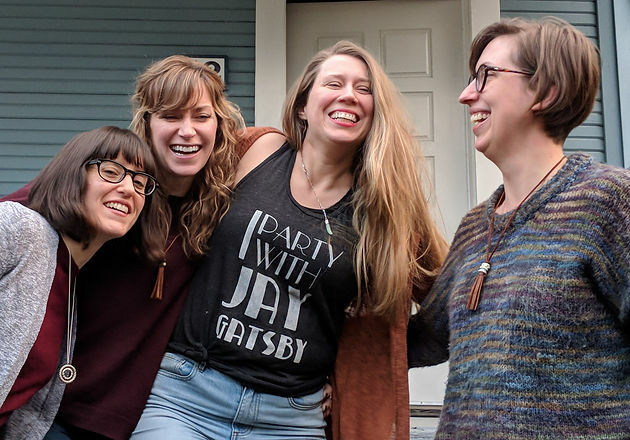 To top it off, we were able to spend some much needed quality time with one another, playing games, laughing, reminiscing, and enjoying being all together for the first time in months! First stop: Brunch! 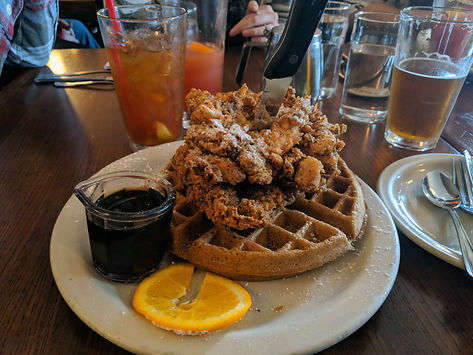 If you are ever visiting Portland, go to Screen Door for brunch. The Chicken and Waffles are worth the wait. I promise! 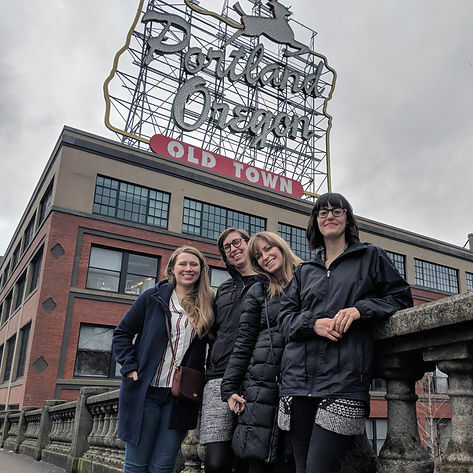 Next stop was the obligatory photo with the Portland White Stag Sign. 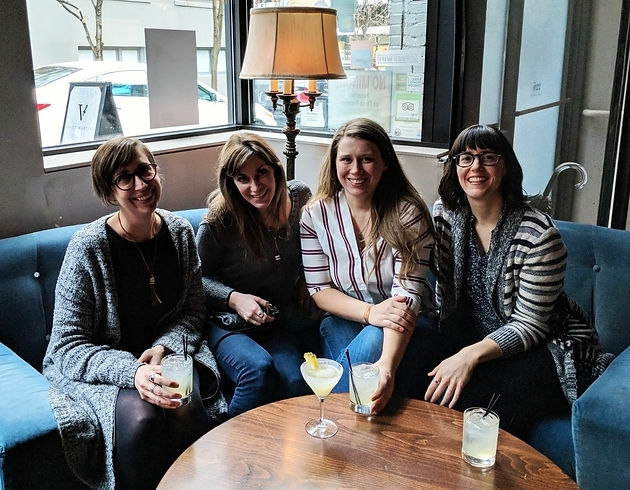 We bounced around the city enjoying drinks and snacks and taking in the sights of Portland. Saturday was a rainy day but that didn't stop us from exploring! 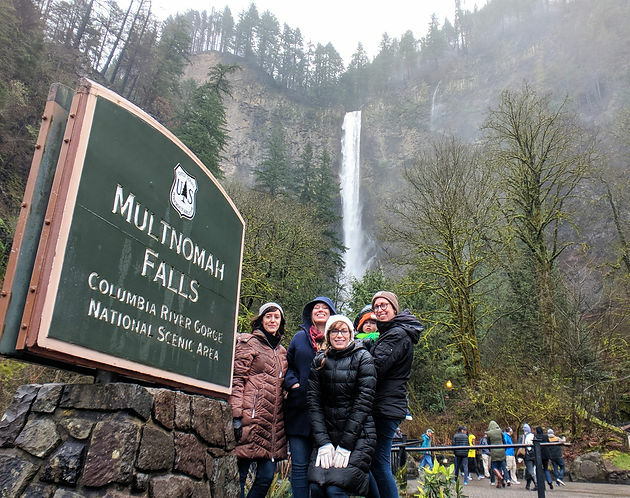 We drove around the Columbia River Gorge and made a stop at the Multnomah Falls. Due to the Eagle Creek Forest Fire in September, we were unable to get much closer to this enormous waterfall. 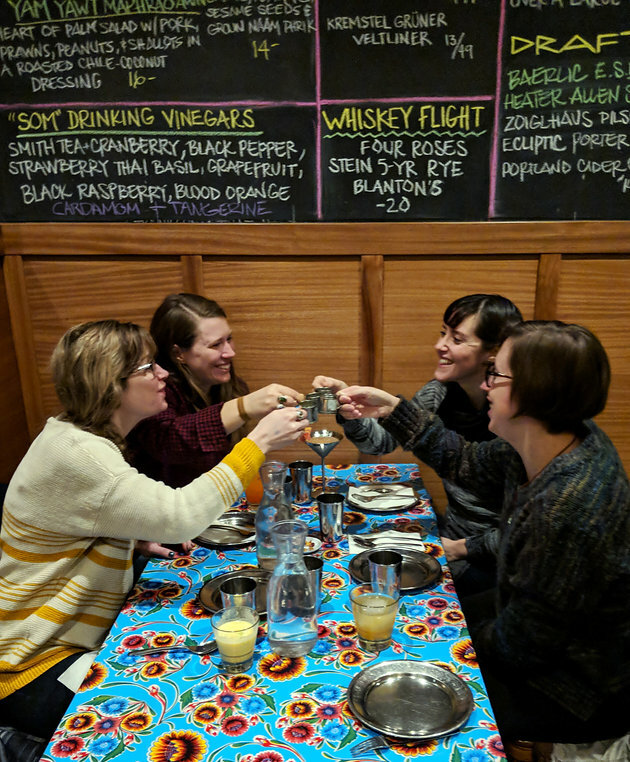 Saturday night we indulged in some of the best Thai food we've ever had at the famous Pok Pok, and we couldn't resist the cocktails! 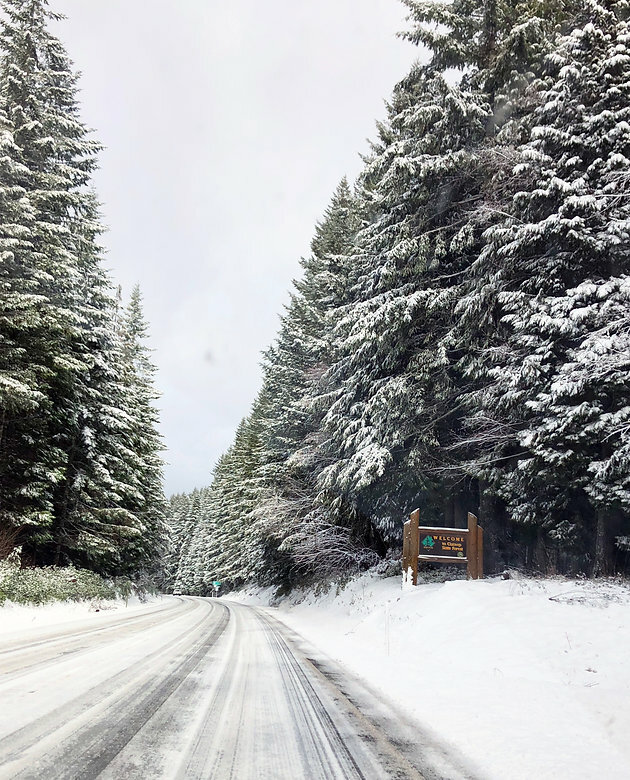 Sunday we took a trip to the Oregon Coast which required a snowy drive through the mountains. 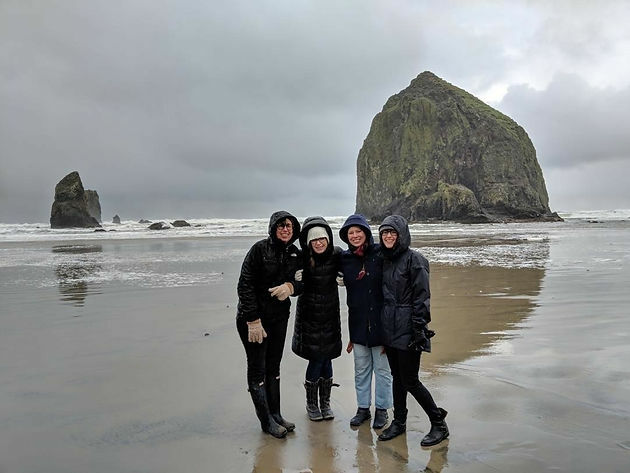 It was a freezing cold day on the beach with sleet that blew sideways, but there's no denying how beautiful the coast is, even in the worst weather. Before we knew it, the weekend was over. Can't wait to plan our next adventure!